A Colorado man told a judge he understood he has been charged with killing his pregnant wife and two young daughters and then hiding their bodies in an oil field as his father-in-law sobbed in the courtroom Tuesday. Christopher Watts, wearing an orange jail suit and cuffed at the wrists and ankle, stoically answered, “Yes sir,” as District Judge Marcelo Kopcow formally advised him of the murder charges and that he could face life in prison or the death penalty if convicted of killing his wife, Shanann, 34, and their daughters Celeste, 3, and Bella, 4. Shanann’s father, Frank Rzucek Sr., wept with his face in his hands. Shanann’s brother, Frank Rzucek Jr., rubbed his father’s shoulders and glared unflinchingly at Watts. A bailiff stood between them. Shanann’s body was buried in a shallow grave in an oil field north of Denver and the girls’ bodies were found submerged in nearby oil tanks, according to police arrest affidavit. Police first visited the home on Aug. 13, after a friend asked officers to check on Shanann. She had missed a doctor’s appointment and wasn’t answering calls or text messages hours after returning home from a business trip, the friend said. Police searched the house and found Shanann’s cellphone stuffed inside a couch. Her purse was in the kitchen and a suitcase was at the bottom of the stairs. A detective spoke to Watts and learned about his plan to leave his wife. He said the conversation with Shanann was civil at first but that later “they were both upset and crying” and she planned to go to a friend’s house, the court papers said. When she and the girls did not return home Aug. 14, investigators ramped up their efforts with help from the FBI and Colorado Bureau of Investigation. 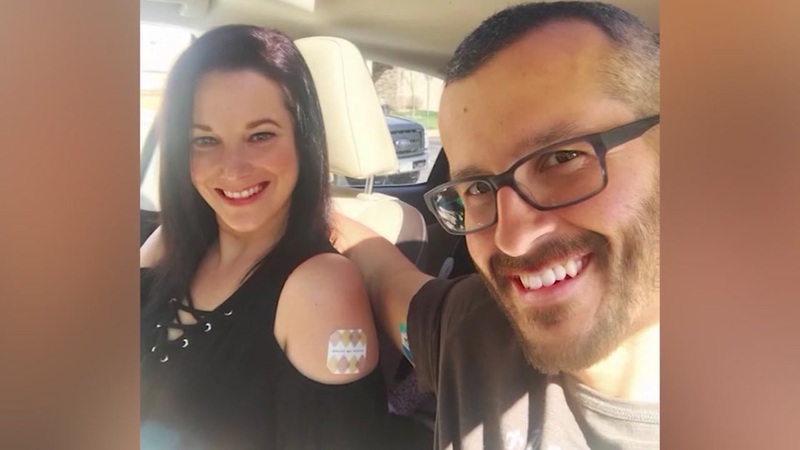 Christopher Watts was interviewed by several local television stations, saying he missed his family and wanted them back. It wasn’t until last Wednesday night that he told investigators “he would tell the truth.” Watts asked to speak with his father, then acknowledged killing his wife. In court papers released Monday, investigators said they learned that Watts was “actively involved in an affair with a co-worker,” something he denied in earlier conversations with police.